Click here to be notified by email when Natibaby *DD EXCLUSIVE* Hero Ardent (100% Cotton) becomes available. This Natibaby 100% Cotton Wrap is much thicker than most Natibabys I am used to. It definitely needs to be washed and dried and ironed a few times to help soften it up. This wrap has so much grip, and is perfect even for your heavier toddler! This wrap is very gender neutral and we are sure even Daddys will love it. We have already been asked if this wrap will come in other color ways and it will not. We had several prototype colors and decided on this color combination because it was the much loved Hero colors while still making all the designs distinguishable from each other. 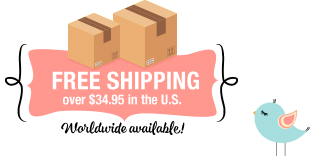 Hero Ardent Wraps are at Dearest Diapers in the U.S. and will be shipping from us to you. Shipping to your Country is calculated during checkout. Thank you.